This is a Japanese style of mending that uses embroidery stitching to create beautiful visible surface designs. It’s simple to learn, but has endless style variations and potential for repurposing. In this workshop you’ll learn the basics of sashiko, various sashiko patterns and styles of mending. 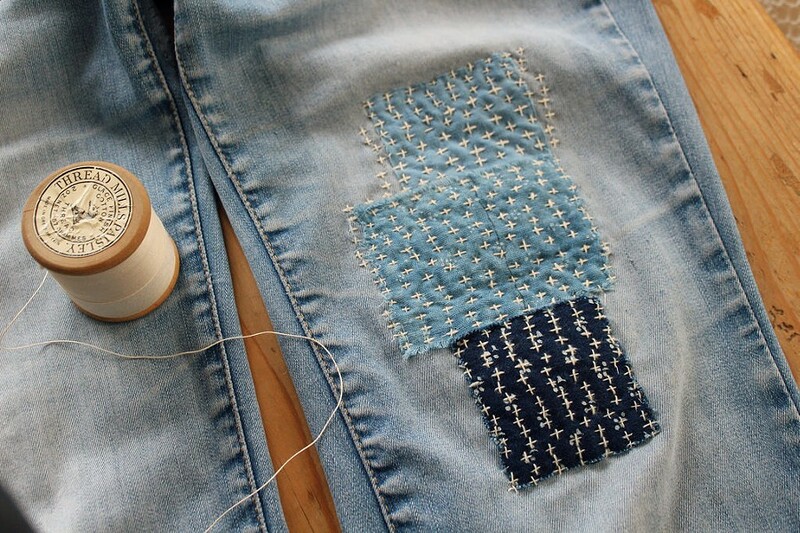 You will design a sashiko patch, and go home with a knowledge for your own sashiko projects. Ages 8 and up, with paid adult accompaniment.